Lucy is light-hearted and a bit of a flirt. Sally is serious and romantic. And then there's Jeanie, the youngest, who is so timid that she has few friends outside the family. Mary Jerod, trusting God and her own hard work, brings her daughters up in dust bowl Oklahoma during the dirty thirties on a drought-stricken eighty acres in such a fashion that in the long away future they will be able to say, "Those were the best years of our lives." But Mary, the grownup who bears all the responsibility, is sometimes terrified as crops fail, she gets sick, and her girls don't always make the best choices. Sometimes she doesn't understand how God can let the terrible dry years roll on and on, but she does know that he has promised to be with her through the hard times. 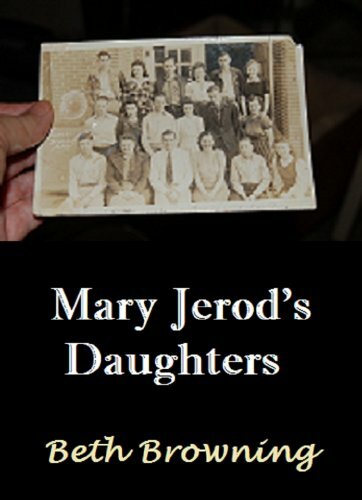 For some reason I have to admit I was a little confused at first as to who everyone was in Mary Jerod's Daughters. I am so glad that I managed to get them straight and hang on. It quickly became a page turner for me. I became caught up in this family as I began to understand their needs, wants, and individual cares. With wonderful descriptions I could imagine the dust, the long working hours, the desperation, and the hope of better days to come. Mary shined through in this book. She was a mother who put herself last (like so many of us) and made sure the children were okay first. She was strong, hardworking, and had a strong believe in God. In turn, her children adored and cared about the Mother who loved and cared for them so much. I laughed, cried, and rejoiced as this family went through life. This book was offered free one day and I downloaded it. Unfortunately it's no longer free.